Ganeshan Neelakanta Iyer, the only assigned competition manager of International Table Tennis Federation (ITTF), has become the first Indian to be nominated as a member of the Umpires and Referees Committee (URC). Following the AGM of the world table tennis body early this week, the Board of Directors of various committees met on the sidelines of the ongoing World Championships and handpicked the best in the business for the job. Ganeshan’s term as URC member is for a period of two years and can be extended. In another first, Ganeshan has also been recommended as the Technical Commissioner from the Asian Continent to ITTF and his term will be for a period of four years. 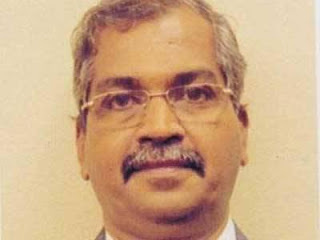 Ganeshan is also the chairman of the South Asian Federation technical committee and a member of the Technical Committee of the Commonwealth Table Tennis Federation. NASA is set to launch the world's first mission devoted to studying rapidly spinning neutron stars, the densest objects in the universe. 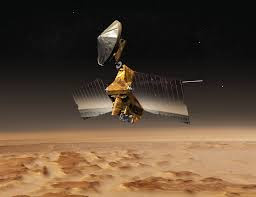 The US space agency plans to launch the Neutron Star Interior Composition Explorer, or NICER, aboard SpaceX CRS-11, a cargo resupply mission to the International Space Station, now rescheduled to be launched aboard a Falcon 9 rocket on Saturday. The SpaceX cargo resupply mission was earlier scheduled for launch on Thursday. The launch was aborted due to bad weather. 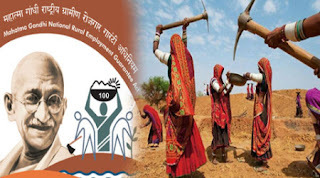 The award would be presented at the Mahatma Gandhi NREGA Sammelan to the district programme coordinator and District Collector on June 19 in New Delhi. Apparel up to Rs 1,000, biscuits and footwear will get cheaper, while gold will get slightly costlier from next month as the Centre and states, excepting West Bengal, resolve to roll out GST from July 1. The GST Council, chaired by Finance Minister Arun Jaitley and comprising state counterparts, today decided to tax packaged and branded food items at 5 per cent, tendu leaves at 18 per cent and bidi at the highest rate of 28 per cent. Unlike cigarettes, there will be no cess on bidi. While biscuits will be taxed at a flat rate of 18 per cent, footwear costing up to Rs 500 will be levied a 5 per cent GST and for those above this would be taxed at 18 per cent. All categories of fabric will attract a 5 per cent rate. Man-made apparel up to Rs 1,000 will attract a 5 per cent tax, lower than the existing 7 per cent. Those costing above Rs 1,000, will continue to attract 12 per cent. Gold will become slightly costlier as the current incidence is 2 per cent and after "extensive debate" the Council proposed to tax gold and gold jewellery at 3 per cent. Never in the history of the UEFA Champions League had a team won the title in consecutive seasons. That is until now — Real Madrid have done it. 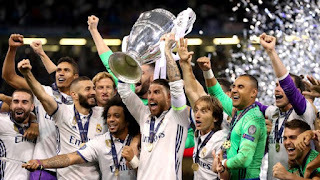 The Merengues throttled Juventus, 4-1, in Saturday’s Champions League final, 361 days after they prevailed over Atletico Madrid on penalties in Europe’s ultimate match. Now, they stand alone as the only team in the history of the competition to win back-to-back titles. Unsurprisingly, it was Cristiano Ronaldo who found himself at the center of attention in both wins. A year ago, he buried the winning penalty kick to set off the wild celebrations. This time around, he scored a brace to lead Real Madrid to not just their second straight Champions League title, but their third in four seasons. Real Madrid now have 12 European titles, the most ever. And they’re also the first ever Champions League repeat winners.